Congressional Republicans Wednesday began to make good on their promise to dismantle Obamacare, even though they have said they have no full plan to replace the much needed health care program. Vice President-elect Mike Pence met behind closed doors with House and Senate Republicans, and while he offered no details about what a new health care law might look like, the Washington Post reports that he vowed to unwind the existing one through a mixture of executive actions and legislation. President Barack Obama also had a closed-door meeting on Capitol Hill with Democrats from both legislative chambers, during which he urged them not to help the GOP devise a new health care law. Both visits to Congress come on the same day the Senate began debating a budget resolution that would begin rolling back the Affordable Care Act. Obama was accompanied by Senate Minority Leader Charles Schumer (D-N.Y.), House Minority Leader Nancy Pelosi (D-Calif.) and Rep. Frederica S. Wilson (D-Fla.) as he visited the Capitol. Although he did not take questions from reporters before or after his nearly two-hour meeting, the Post reports that participants said he told members of his party that they did not have to “rescue” Republicans and that they should “stay strong” as the GOP strives to replace the law. According to the Post, Pence told reporters that he and Trump would chip away at the ACA with a “two-track approach” of executive powers and legislation. Pence said that Trump is “working on a series of executive orders that will enable that orderly transition to take place” and eyeing other policies that can be reversed. Republicans from Western states urged Pence on Wednesday to undo some of the public-land protections Obama created through the 1906 Antiquities Act. The Post reports that other executive actions, including those providing new safeguards for LGBT Americans and curbing greenhouse gas emissions linked to climate change, could also come under attack. 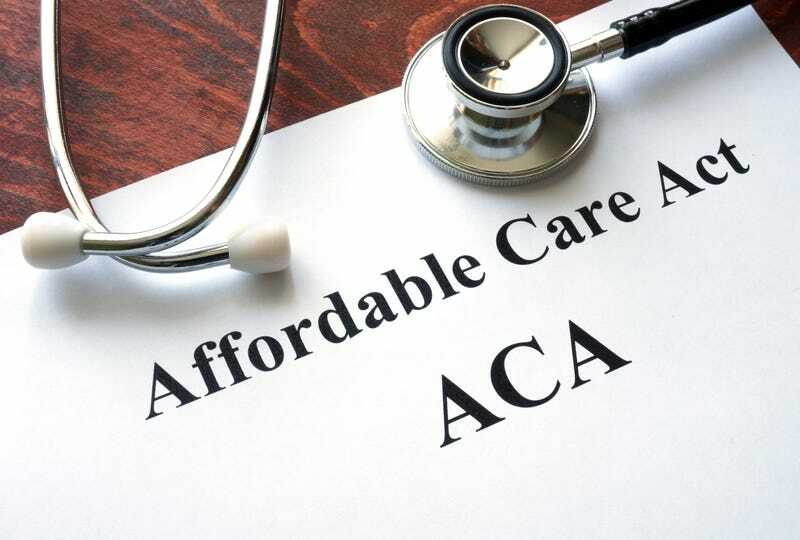 The ACA was passed in 2010 entirely with Democratic votes, and as the Post notes, it has spurred the most significant changes to U.S. health policy since the creation of Medicare and Medicaid in the 1960s. It has also faced sustained opposition from Republicans, launching two Supreme Court cases and a lawsuit over cost-sharing subsidies that is now before the U.S. Court of Appeals for the District of Columbia Circuit. As the Post notes, it will take some time to undo the health care law. Democrats will have to be allowed the opportunity to introduce a nearly unlimited number of amendments before a final budget vote. Democratic leadership aides told the Post that Democrats plan to use the process known as “vote-a-rama” to make it difficult for Republicans to vote for the final legislation.